Hurricane Florence became the first major storm of the 2018 Atlantic hurricane season Wednesday as it moved on a path that could take it toward Bermuda. Florence has been downgraded to a category 3 hurricane with sustained winds of 115 mph. The eye of the hurricane is centered about less about 1,170 miles east-southeast of Bermuda as Florence moves in a northwest direction at 12 mph. That path is expected to continue through the night, when it's forward speed is expected to decrease in speed. Sustained winds have decreased from 130 mph Wednesday when Florence was classified as a Category 4 hurricane. While the storm is expected to continue to weaken, the National Hurricane Center expects it to remain a strong hurricane for the next several days. If Florence continues its current track across the Atlantic, it is likely to hit Bermuda. It should also miss Puerto Rico – located nearly 1,600 miles southwest – who started the 2018 Atlantic hurricane season with 11,000 … [Read more...] about Hurricane Florence churns toward Bermuda as Gordon soaks U.S.
Hurricane Florence – where is the tropical storm now, will it hit the UK and what’s the latest weather forecast? HURRICANE Florence is the latest tropical storm for 2018 and it’s currently moving in a north-north-westerly direction towards the US East Coast. Forecasters believe the storm will then hurtle towards the UK, bringing with it high winds, heavy rain and possible even some frost. 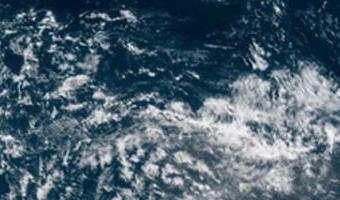 Where is the tropical storm now? Hurricane Florence is currently swirling in the mid-Atlantic, close to the US east coast. Florence could potentially track more to the north, keeping it east of Bermuda and over the open waters of the central Atlantic next weekend and into the following week before being moved along by an eastward jet stream. The official hurricane season for the Atlantic Basin (the Atlantic Ocean, the Caribbean Sea, and the Gulf of Mexico) is from 1 June to 30 November. While Hurricane Florence isn’t expected to hit Florida, the passing storm could still cause rough seas that could potentially pound the sunshine state and the island of Bermuda. Hurricane Florence may then be picked … [Read more...] about Hurricane Florence – where is the tropical storm now, will it hit the UK and what’s the latest weather forecast?